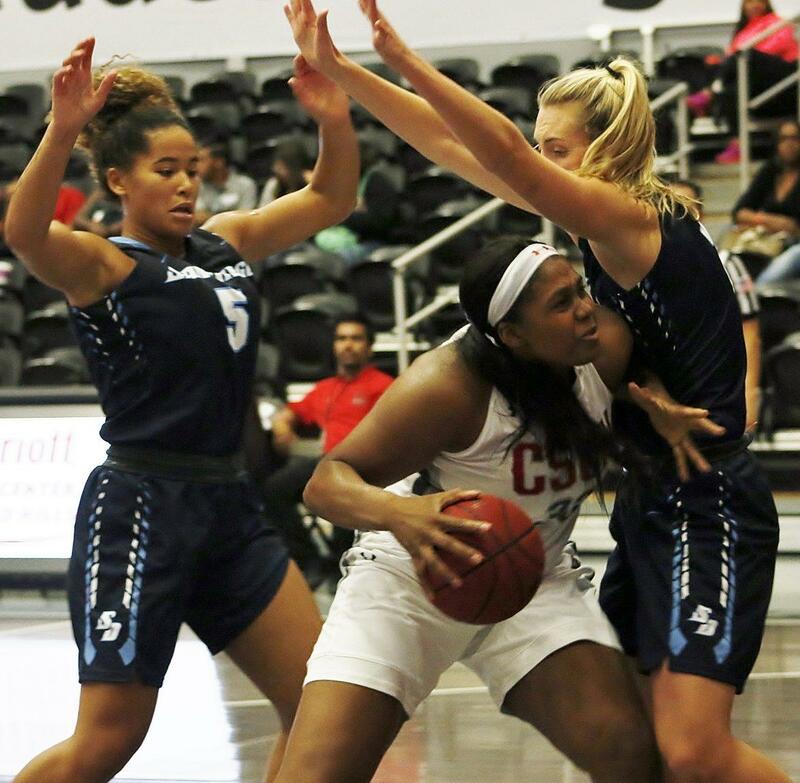 Incoming Junior Channon Fluker cemented her status as an elite player in the big west after winning Big West Player of the Year as a sophomore. However, CSUN head coach Jason Flowers and Fluker are doing everything they can to assure Fluker improves on her record setting season. A phone call from Flowers was all it took to assure the Pasadena native a spot on the USA Women’s Basketball U23 training camp in Colorado Springs. A total of 40 of the best collegiate women’s basketball players will compete to play on the final 12 member roster. Participants include 22 former international gold medalists, four NCAA champions and five Women’s Basketball Coaches Association All-Americans. Fluker said it was Flowers’ connections that helped secure her spot, however Flowers wanted none of the recognition. Flowers wanted to assure that it was Fluker who took all the credit for what she has accomplished in such a short time. The center from Pasadena came to CSUN with only four years of high school basketball experience. After her freshman year she was named the Big West Freshman of the Year and earned a spot on the All-Big West First Team. In her sophomore season Fluker set school records for points, rebounds and field goals in a season while averaging 18.0 points and 12.0 rebounds per game. Fluker will have every chance to realize what she is capable of as she will be trained by some of the best coaches in the nation. Louisville head coach Jeff Walz will lead the squad and University of Connecticut head coach Geno Auriemma will serve as the lead clinician during the training camp. The 12-member team that will represent the USA in an inaugural U23 Four Nations Tournament will be announced on Aug. 4 at the conclusion of the camp. The four nations tournament will be held in Tokyo, Japan and spots are reserved for U.S. citizens who are 23 years old or younger and currently are freshmen, sophomores or juniors in college. Players selected to the team will continue training at the US Olympic Training Center through Aug. 7 before departing for Tokyo.